Living green means we recycle, create less waste, and use fewer resources. These are all important ways to protect the environment. But what are you doing to green up your health? A healthy environment and a healthy lifestyle go hand in hand! Is your body a nutritional wasteland? Give a hoot — don’t pollute your body with garbage foods. Instead, treat it well by eating more natural foods that are packed with nutrients. Think fibre-filled whole grains and fruits and vegetables. Meanwhile, reduce saturated fats and sodium intake. You can also prevent erosion of your health with nutritional supplements. Turn over a new leaf. Work fibre-packed FibRestore® and essential nutrition such as Reliv Now® into your daily routine to nourish your body. Get creative with your shakes and add some fresh fruit like banana or blueberries, or some green vegetables like some fresh kale or spinach for even more nutritional goodness. How deep is your footprint? Being overweight contributes to type 2 diabetes, coronary heart disease, stroke and more. If you’re a man with a waist measurement of 40 inches or more, or a woman with a waist measurement of 35 inches or more, you’re at much higher risk of metabolic syndrome, which can lead to heart disease and type 2 diabetes. So it pays to reduce your waist! Losing just 5 to 7 percent of your body weight and doing moderate-intensity exercise for 30 minutes a day, 5 days a week also may prevent or delay the onset of type 2 diabetes. Choose a weight loss partner wisely. ReShape from Reliv is a deliciously satisfying meal replacement shake, both tasty and nutritious. 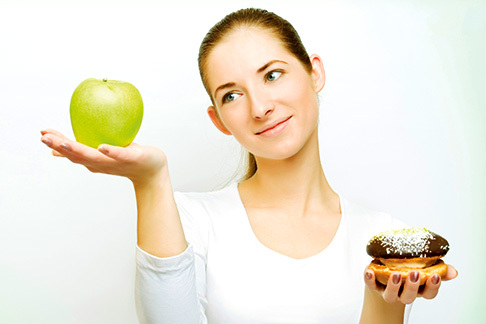 Reach your weight loss goals with ReShape combined with a sensible balanced diet and exercise. Forget oil — we’re talking leg power! Walk or ride a bike whenever possible. Use your leg power to go to the grocery store. If you’re buying a lot, consider pulling a wagon to the store for the walk home. It’s a great muscle and cardio workout to improve heart health and burn more calories! Or bring the family on bikes and everyone can carry a (cloth) bag home. Another idea is to ride your bike to work and arrive invigorated for the day. Re-cycle day after day! With petrol prices climbing, these strategies are good for your body and your wallet. Join the Shape Up with ReShape program. It includes exercise tips and weight loss tracking, along with text message and group support to get you moving! Stress is toxic. It takes a toll on you mentally and physically and makes you more likely to eat on the run and exercise less. The aftermath is an increase in illness, fatigue and brain fog. Follow the mantra: live, laugh and love. Laughing is a known stress reliever that allows you to live and love more freely! Take some time to enjoy nature too. By taking care of yourself with good nutrition and exercise, you’re better able to handle stress and you create a positive, energetic outlook that ripples to others. Drink responsibly. Innergize! From Reliv provides your body with the essential electrolytes and energy it needs to stay in top form. It’s the perfect complement to an active lifestyle. For everyday energy enjoy Innergize! for a refreshing way to keep you going through work and play, all week long. It’s a truly sustainable energy source! Posted in Health and tagged energy, exercise, FibRestore, health, Innergize, Reliv Now, ReShape, Weight Loss.